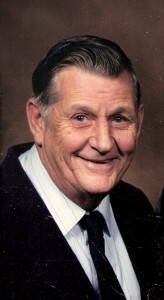 Richard C. Gates, 81, of Philadelphia, died, September 27, 2012, at his home. There are no services. Richard is survived by his wife, Betty J., sons, Robert Gates, Philadelphia, Richard C. and wife Lori Gates Jr. of Gouverneur, Rick and his wife Wilma “Willie” Gates, Spring Valley, CA, daughters, Barbara J. Burns, Debra Hitchcock, Sandra M. Gates, all of Missouri, a sister, Nancy Clark Love, Hailsboro, 18 grandchildren, several great grandchildren, several nephews and nieces. He was predeceased by a brother, Harold N. Clark. Richard was born on December 28, 1930 in Gouverneur, the son of Jerome Claude and Mamie Littlbrandt Gates. He married Betty J. Gardner on December 9, 1971 at the Gouverneur United Methodist Church with the Reverend Stanley Brown officiating. Richard was in the Air Force from 1950 – 1971, while in the Air Force he was awarded the Korean Service Medal, UN Service Medal, Good Conduct Medal, and the National Defense Service Medal. Richard was a bindery worker at Post Publications on Fort Drum. He enjoyed bowling, fishing, and camping. Contributions can be made to the charity of one’s choice. 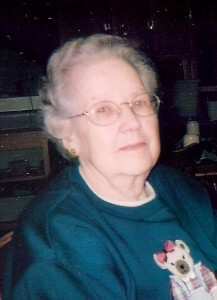 Frances L. Tittle, 85, of DeKalb Junction, died, September 14, 2012, at Massena Memorial Hospital. A funeral service will be Tuesday, September 18, 2012 at 11:00 am at the funeral home Roberta Gardner officiating, burial will follow in Union Cemetery. Frances is survived her husband Herbert L., a son Herbert W. Hammond, Myrtle Beach, SC, a daughter, Natalie M. Tittle, Los Angeles, CA, a granddaughter Clarise Tittle and her husband Michael Carlucci, Glenmoore, PA, sisters, Madge Miller, Louise Hunter and Myrtle Butcher all of West Chester, PA, several nephews and nieces. She was predeceased by three brothers, William, Ernest and Alfred Taggart, and a sister, Hazel Winfield. Frances was born on July 14, 1927 in West Chester, PA, the daughter of Ernest and Sadie Brown Taggart. 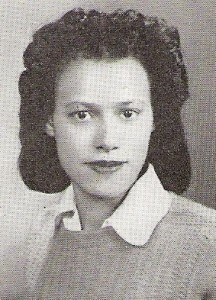 She graduated in 1945 from West Chester High School. Frances married Herbert L. Tittle on September 15, 1956 at the 2nd Presbyterian Church in West Chester, PA. She was a librarian at the Atglen Library in Chester County, PA after her retirement in 1990 as a rural mail carrier for USPS for 25 years. She and her husband also worked on their family farm. Frances was a life member and chorus member at the 2nd Presbyterian Church in West Chester, PA, a choir member at the Grace Community Church , Parkesburg, PA, a member and leader for 4-H and she was on the Board of Directors for Chester County Extension Services. She enjoyed knitting, cooking, gardening, sewing and playing the piano. Contributions can be made to National 4-H Council, P.O. Box 37560, Baltimore, MD 21297-3560. Lillian V. Fleming Lillian V. Fleming, 92, of DeKalb Junction, died, September 6, 2012, at her home surrounded by her loving family. Graveside service will be at the East DeKalb Cemetery, September 10, 2012, 11:00 am, Lay Pastoral Assistant Martha Helmer officiating. Lillian is survived by her daughters, Donna Lillis, Liverpool, Carol and William O’Horo, Canton, Linda and David Bishop, DeKalb Junction, Cindy and Rod Johnston, Arizona, a brother Earl Jeffers, Arizona, grandchildren, Michael and Michelle Lillis, Jeremy and Justin Bristol, Rebecca, Zachary, Emily and Sarah Bishop,great grand children, Kyle and Lily Bristol, several nieces and nephews. She was predeceased by a daughter, Karen Fleming, a brother, Claude Jeffers, sisters, Keitha Hall, and Ilene Woods. Lillian was born on November 16, 1919 in the Town of Gouverneur, the daughter of Claude and Pearl Burnham Jeffers. She graduated from Gouverneur High School in 1936 as valedictorian of her class. She continued her education at Potsdam Normal School and graduated in 1939 with a Bachelors of Education degree. Lillian married Lloyd H. Fleming on August 28, 1943 at the DeKalb Junction Methodist Parsonage he died on December 8, 2002. Lillian was a teacher at Hermon DeKalb Central School from 1962 until her retirement in 1976. She was a member of the Order of the Eastern Star in Richville for over 65 years, a member of NYSUTA, and Retired NYSUTA. Lillian loved her cat Lucy, to read, do crossword puzzles, jigsaw puzzles, and needlework. In lieu of flowers donations can be made to Hospice and Palliative Care of St. Lawrence Valley.